Stylish, purple and black lace Bolero Jacket is a beautiful addition to any outfit. 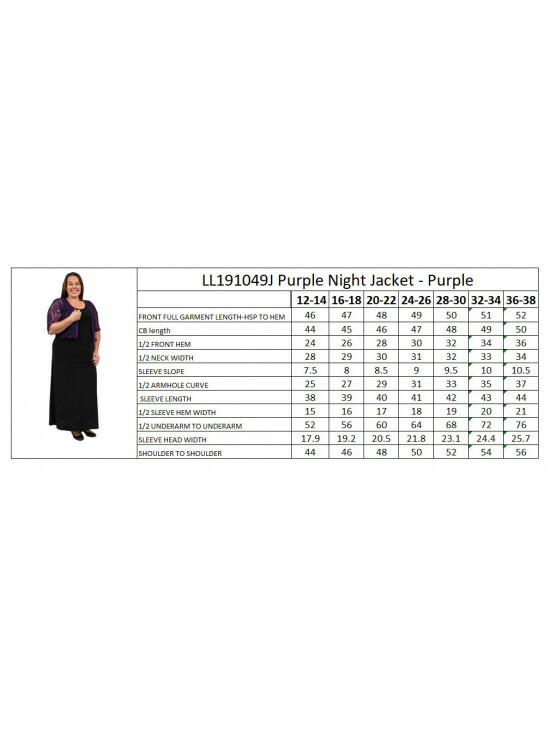 An elegant short evening jacket, this unlined stretch purple lace features purple satin trim at the neck and front edge with 3/4 sleeves with rolled hems. Teams beautifully with our new full length purple Night Lace Dress or team it with a cami or sleeveless top to add a touch of style your outfit. Please note: in regards to sizing, this is an average size jacket, if you have large shoulders, large arms we would recommend you going 2 sizes up just for that extra comfort..